Late last month we learned that KTM was planning to bring two new versions of its X-Bow roadster to the Geneva Motor Show. One of those machines is the new X-Bow ROC edition, and our men on the scene managed to assemble a gallery of live shots of the new model that you can view in the gallery below. 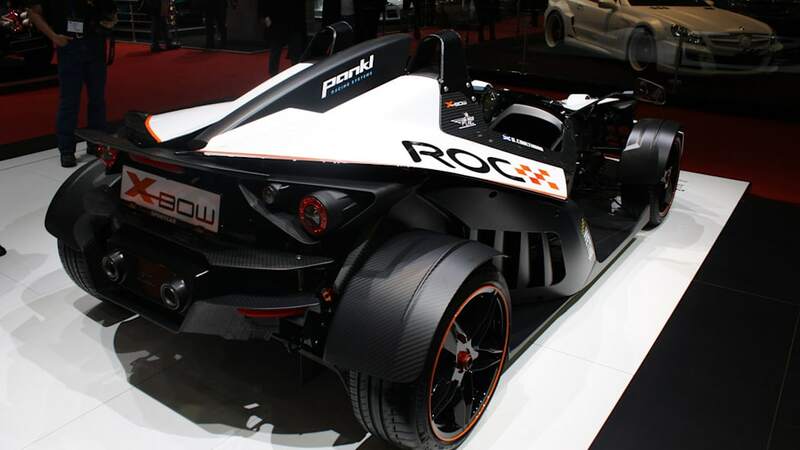 This new ROC edition was built to commemorate the Austrian firm's inclusion in last year's 2008 Race of Champions, so it fittingly features a lightweight carbon fiber monocoque shell and adds a sports exhaust to Audi's 2.0-liter turbocharged, direct-injection four-cylinder mill that's shared with other models in the range. Unique paint and badges also help set it apart from lesser X-Bows. Despite the fact this new model shares plenty of special bits with the top-level Superlight X-Bow, KTM was able to price the limited edition ROC model rather aggressively with a base MSRP of 69,980 euros - a full 10,000 less than its pricier sibling. Also new is the X-Bow Street, which retails for an even more wallet-friendly 49,980 euros. Read the full press release from KTM after the break. The production version of the KTM X-BOW is celebrating its first birthday. 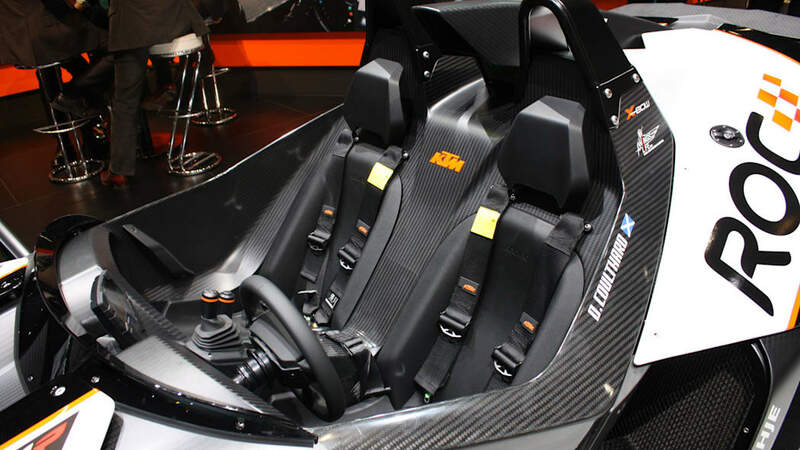 Exactly one year ago, the production version of the KTM X-BOW made its world premiere at the Geneva Motor Show. 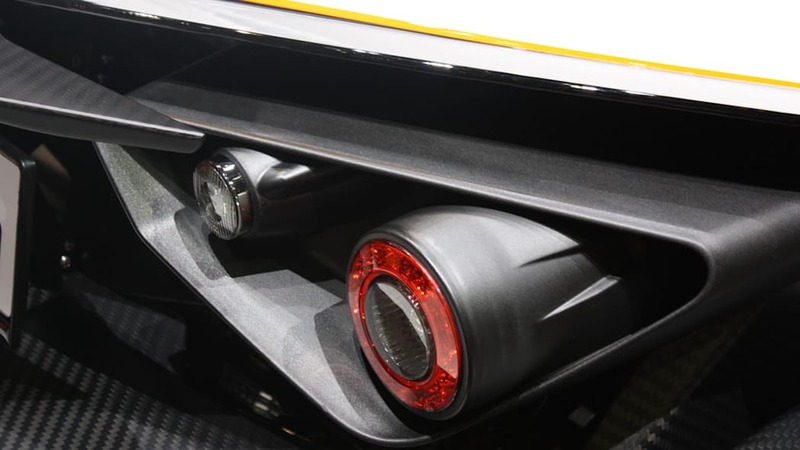 To the rapturous applause of media and innumerable prospective buyers, who had given an enthusiastic welcome to the prototype unveiled one year earlier, it was confirmed that practically no changes had been made to the original design. The X-BOW had lost nothing of its radical nature, purist ethos or innovative technology on the way to series production. Less than two and a half years had passed between the conception of the initial visionary idea by KTM CEO Stefan Pierer and KISKA CEO Gerald Kiska in the autumn of 2005 and the launch of the production model in the spring of 2008 in Geneva. Just six months later, the first customer KTM X-BOW was handed over to a very proud owner in the newly-built manufacturing plant in Graz. Such was the speed of KTM's timescale for the creation of a radical new automobile that even the most optimistic would have found it hard to believe. It was a schedule only made possible by close collaboration with partners such as Dallara and Audi and, more than anything else, by the wholehearted commitment of KTM's employees. Almost 250 KTM X-BOWs were delivered to customers in the first six months of production and the order book stands at around 400 units. Meanwhile, KTM has moved away from the original plan to sell about 1,000 units per year. "Naturally, the general economic situation not only affects the large car manufacturers", explains KTM CEO Stefan Pierer. "We are also sensing the hesitance to buy that is currently demonstrated by many prospective buyers, both in the motorcycle market as well as with the X-BOW. We have an extremely lean manufacturing structure and can react very quickly to changes in circumstances. Adjusting our sales target from 1,000 units per year to around 600 is an acknowledgement of the current situation. However, at the same time we are intensifying our efforts in the X-BOW field, extending the model cycle and making significant improvements to our service partner network. Furthermore, we are providing an extremely attractive model line-up for 2009 that offers the appropriate vehicle for every prospective buyer's needs at very attractive prices. Moreover, we want customers and potential customers to form an even closer bond with the KTM brand by participating in the X-BOW Trophy and the RaceOrange program as well as by buying our special PowerParts and PowerWear products," concludes Pierer. KTM is starting the 2009 model year by exhibiting five different X-BOW models at the 79th Geneva Motor Show together with many more new products; from the attractively priced entry-level model, the X-BOW Street (€49.980*), and the X-BOW Clubsport, at €59.980* the perfect entry-level model for the racetrack, to the FIA-homologated race vehicle for professionals, the X-BOW GT4 (€82.900 plus national taxes and import duties). 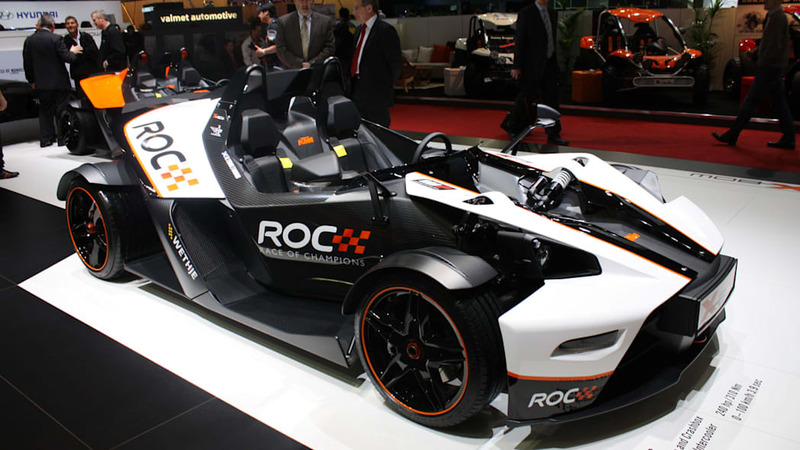 The 2009 range now also includes a further two attractive models: the X-BOW Superlight features all available technologies and radical lightweight construction, and the limited-edition X-BOW ROC, produced in homage to KTM's participation in the most prestigious motorsport event of the year, the 'Race of Champions'. 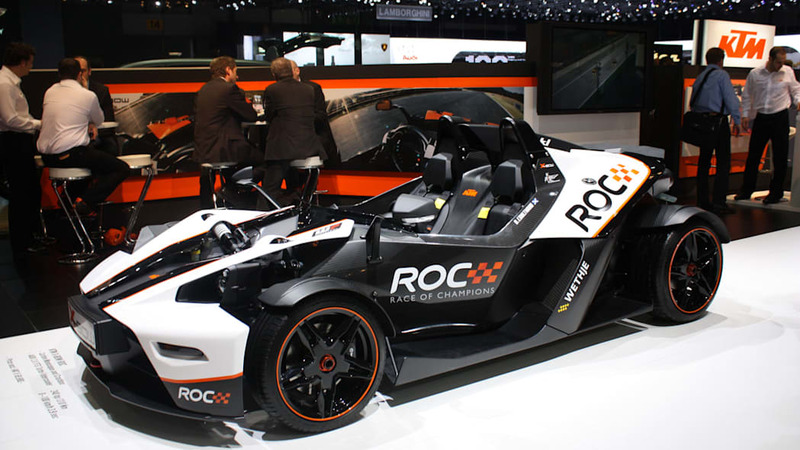 The ROC model is celebrating its world premiere at the 2009 Geneva Motor Show, together with the new X-BOW Street. In addition, KTM will be providing information on the X-BOW Trophy 2009, the extensive, spectacular RaceOrange program and the PowerParts and PowerWear collections created especially for the X-BOW. Weight reduces performance and detracts from the pleasure of driving. 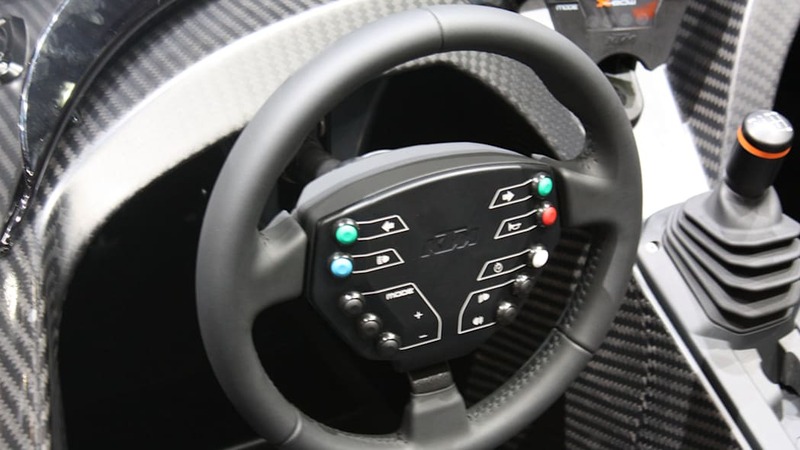 That's why you won't find many of the conventional 'comfort features' in the KTM-X-BOW. The radical construction, without a roof or windscreen, and the omission of air-conditioning and an entertainment system, are all intended to focus the user's concentration on a driving experience that is so pure as to be similar to that of a motorbike. 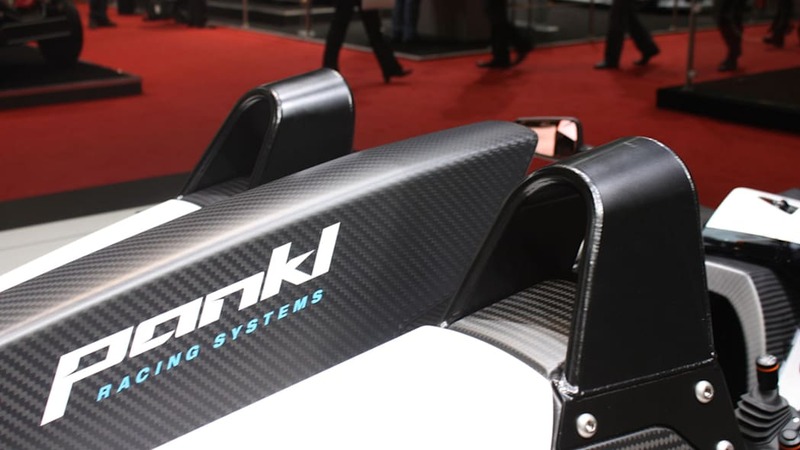 But that's not all: for the first time ever in the history of series-production cars, a chassis made completely of carbon fibre – or to be more precise, a carbon fibre monocoque – has been employed. 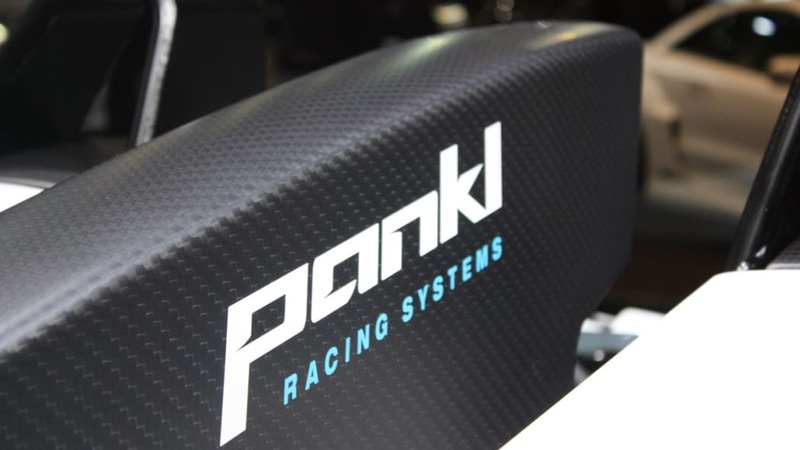 For many years this chassis technology has formed the 'safety net' in Formula 1 and other single-seater racing formulae, but on the road there have been only a very small number of supersports cars in the very highest price category that have used a carbon fibre monocoque. 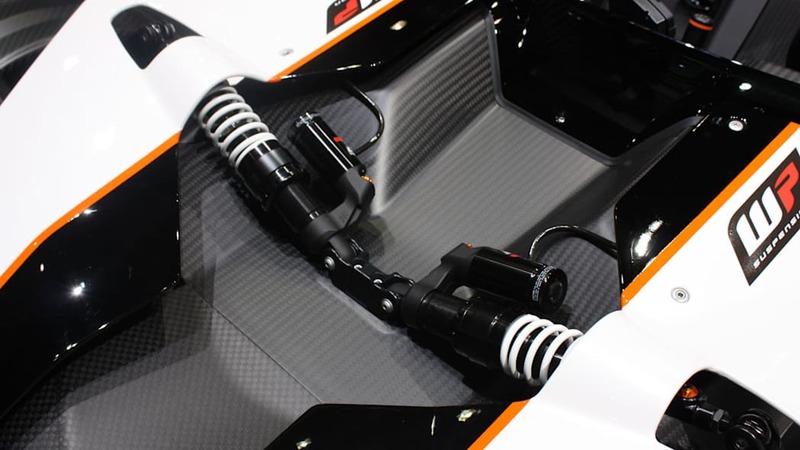 KTM is proud to be the first company to offer this chassis technology in an affordable form. Together with racing and sportscar manufacturer, Dallara, and carbon fibre specialist, Wethje, the Austrian company has made the lightweight X-BOW a reality. 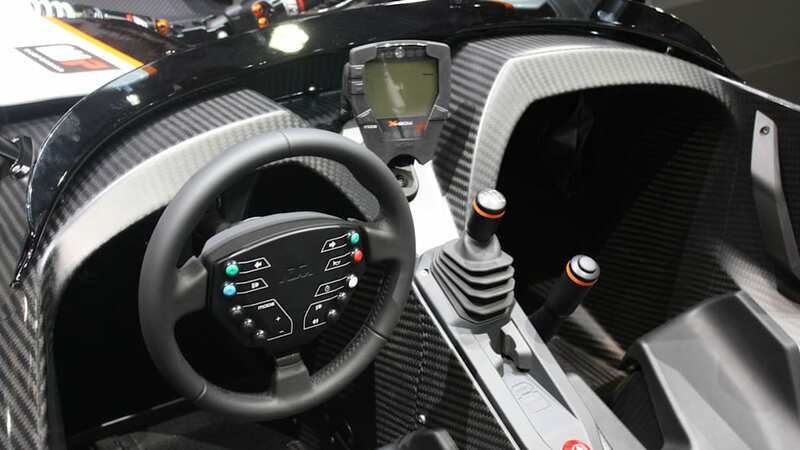 Carbon fibre, the high-tech material from aerospace and Formula 1, opens up completely new possibilities for sportscar construction that have been extensively exploited in the X-BOW's construction. It combines an incomparably strong structure – 35,000 Nm/o despite the open cockpit – with extremely low weight (the complete carbon composite monocoque weighs only 90 kilograms) and unrivalled safety. The X-BOW's high-strength survival cell satisfied the stringent demands of the FIA crash tests right from the start. As the X-BOW Superlight model, this unique sportscar from KTM displays its motorsport-derived technology for all to see. 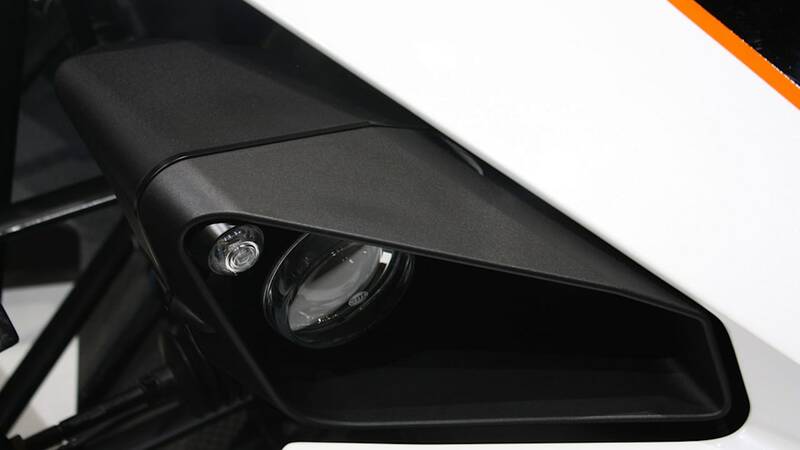 Added to the advanced monocoque, to which is mounted a carbon crash box and inboard pushrod suspension, are the black body panels of visible carbon fibre that give the Superlight its unique, technoid appearance. The flagship model in the X-BOW line-up is comprehensively equipped. For 79,980 Euros (plus national taxes and import duties) this model comes complete with limited-slip differential, lightweight alloy wheels with a single central wheel nut, lap timer and much, much more. The 'Race of Champions' is the crowning highlight of every motorsports year, with the world's best racing and rally drivers at the wheel of different vehicles in exciting head-to-head races infront of thousands of thrilled motorsports fans. Legendary drivers such as Michael Schumacher, Sebastien Loeb, Tom Kristensen and Matthias Ekström were among those participating in the December 2008 event at London's Wembley Stadium, which also marked the first appearance of the KTM X-BOW. The organisers, in particular rally legend Michelle Mouton, were fascinated by the revolutionary, lightweight supersports car from Austria. 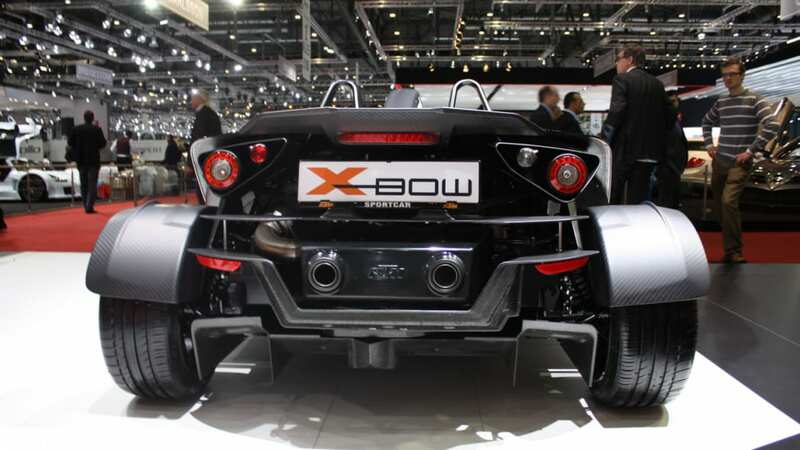 "The X-BOW is an exciting new sportscar – it generates an incredible furore with its spectacular design alone," said Mouton, the most successful and best-known female rally driver of all time. And the participating racing drivers were all unanimous in their enthusiasm for the X-BOW. Formula 1 legend David Coulthard commented, "It's an ingenious car concept that also looks quite simply unique." Sebastian Vettel enthused that "Driving the KTM X-BOW is incredible fun," while multiple world rally champion Sebastien Loeb called it simply "a great car!" Everyone at the young car manufacturer is extremely proud of the X-BOW's performance at the Race of Champions; so much so, it was logical that a special limited-edition series, named 'Race of Champions', or ROC for short, should be produced. Unique details featuring on the series of 30 units include: exclusive ROC design on the body panels and the weight-saving all-carbon body; the sports exhaust which attracts special attention with its deep sound; specially painted light-weight alloy wheels with a central wheel nut; adjustable sports suspension; and a removable multi-function steering wheel. The price for the ultimate supersports car of champions is 69,980 Euros (plus national taxes and import duties). The series version of the X-BOW is celebrating its first anniversary, so KTM is going to doubly commemorate it! First, KTM's long-anticipated capital increase was successfully completed just before the start of the 79th International Motor Show in Geneva; second, the Austrian vehicle manufacturer will be presenting its new model line-up in Geneva from 5th – 15th March! Last week, based on the subscription orders received, the management board of KTM Power Sports AG set the amount of the capital increase at 687,357 new shares and set the subscription price per new share at EUR 25.00. 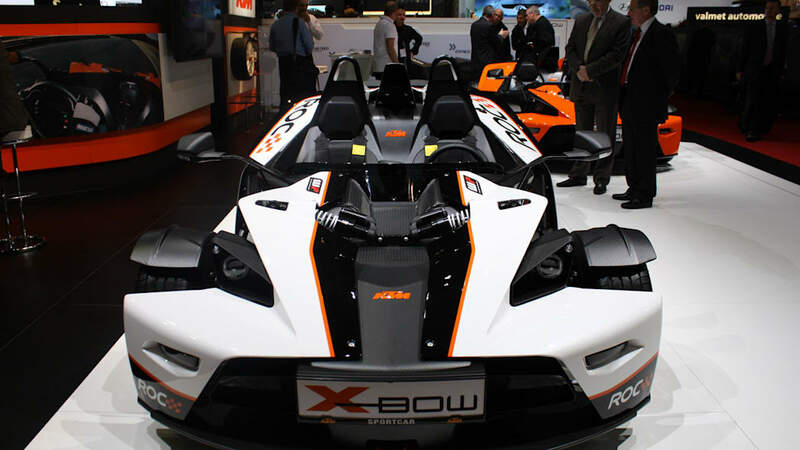 All of the new shares offered were successfully sold during the subscription period and the capital increase ultimately amounted to EUR 17.2 million This increases the capital of the KTM Power Sports AG and thus secures the financing for important future projects like that of the KTM X-BOW. CEO Stefan Pierer at the X-BOW's 1st anniversary: "We are staying on our path." 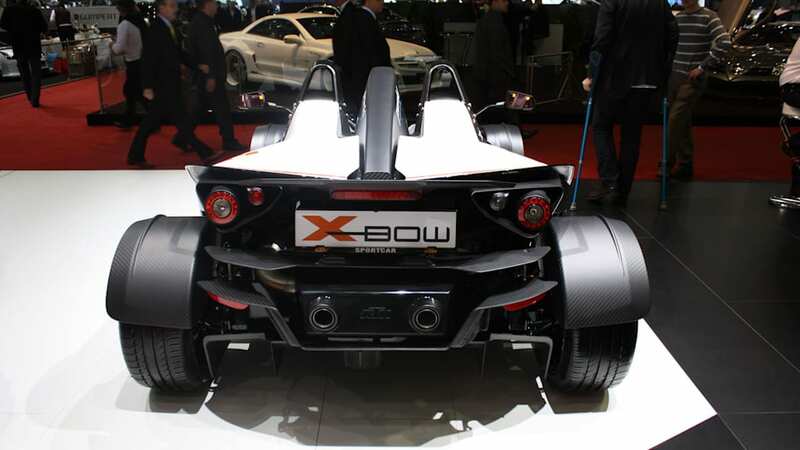 KTM's CEO Stefan Pierer, who will be in Geneva in 2009 as well to see the presentation of the new models, is optimistic about the future: "The KTM company has been strengthened and the X-BOW project is in no way intended to be a short-term venture. We believe in the potential of our technological innovations, just as we believe in our product philosophy "Ready to Race" – which we have once again demonstrated with our new model line-up. We will continue on our path, undeterred!" In the course of its reorientation, KTM is very consciously relying on existing structures to utilize their synergies: The marketing and sales/distribution departments were transferred to the Mattighofen headquarters, while the R&D department has been entrusted to KISKA and to KTM Technologies in Salzburg. The manufacturing plant remains in Graz, where about 60 employees are still at work. KTM has already sold a good 400 units of the X-BOW; thanks to its extremely lean manufacturing structure, the company can now react to the new circumstances very well. Instead of 1000 units per year, the sales goal for 2009 is 600 cars, the model cycle has been extended, our network of service partners has been greatly expanded – and we've introduced a very attractive line-up of models: Our road-suitable line-up runs the gamut from the X-BOW Street (49,980 Euros*) to the X-BOW Clubsport (59,980 Euros*), to the X-BOW Superlight (79,980 Euros*), all the way to the X-BOW ROC (69,980 Euros*), while the KTM X-BOW GT4 (82,900 Euros*) is the racing machine for the track. In addition, KTM is organising the X-BOW Trophy 2009, offering a spectacular RaceOrange programme for customers and prospective customers, and has PowerParts and PowerWear collections at the ready which were created especially for the X-BOW.